As we note in discussing functional restoration, we integrate this aspect of the process with aesthetic restoration in a holistic approach. For instance, the proper bedding of glass is essential to achieving a seamless integration of the glass and the interior frame. This fit, as pictured below, not only contributes to window insulation and protection of the wood frame. It also makes possible the painting of a near perfect line between the glass and the frame, integrating a complexity of parts into a simple elegance that sings! Do you notice the rich smoothness of the painted finish? We’d like to say that is due solely to the quality of the paint job. But the fact is that we have a little bit of help from our friend, the paint itself! Nothing beats high quality, oil-based paints to provide a rich, creamy painted finish that lays down to a velvety smoothness like you see in this picture. It also happens to contribute greatly to functional restoration, given its durability. 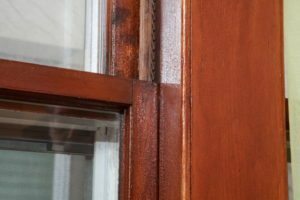 Hardware refurbishing is another aspect of aesthetic restoration we attend to when restoring windows, doors, and cabinets. As you can see from these pictures below, even old hardware from which the finish has been rubbed off or has been darkened by age has a simple elegance. At least if it isn’t covered in paint! (Both this casement lock and the sash pulley were covered with many layers of paint when they came to our shop. 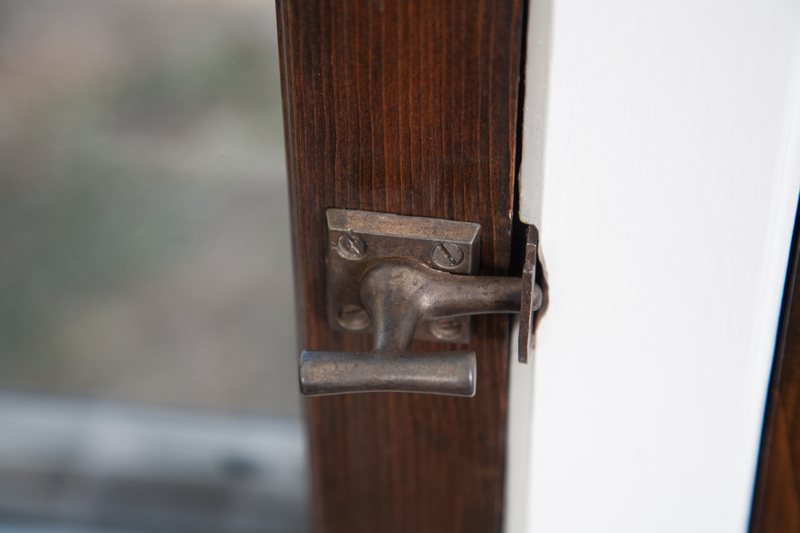 We remove finishes, clean, buff, and oil all hardware. We also offer a wide range of period-appropriate, replacement hardware and sash chain. 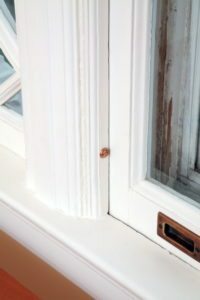 The project pictured to the right and the had beautiful, original silicon bronze hardware (such as you see in the recessed sash pull pictured here). 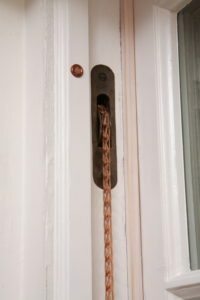 We recommended our pure bronze sash chain to match, then placed a special order to obtain silicon bronze finishing washers and silicon bronze screws for securing the molding stops. They are as beautiful as pearl buttons on a fresh pressed linen shirt or blouse! Yet another example of how we attend to aesthetic aspects of the restoration process is pictured here in this vintage bungalow kitchen project. 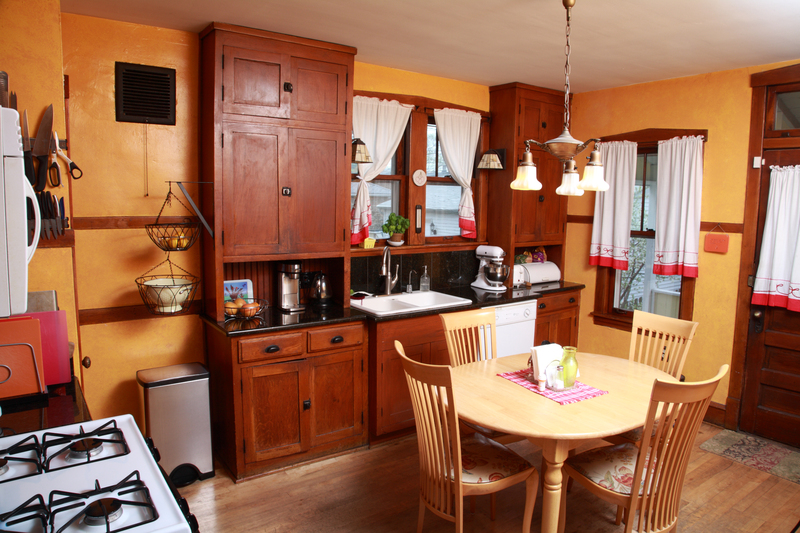 As can be seen in the photos, the kitchen (and the entire bungalow!) has sustained an amazing degree of architectural integrity. And the client was eager to maintain it. 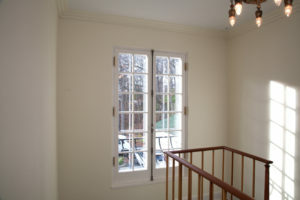 So, when we restored the windows like the one pictured here, we did not strip and refinish the original shellac finish. Instead, we used appropriate solvents to remove just the top layers of dirty shellac, then refurbished the finish with additional fresh coats. 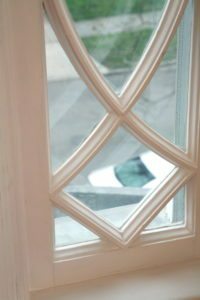 Here is what the client had to say about this aspect of the restoration process: “…we decided not to fully strip the window finish but instead to do a partial stripping of the finish with the application of more shellac so that its appearance continued to match that of the casings (which still have their original finish). (Oak Brothers) …restored the finish while keeping the original look. It takes experience to know how much or how little to do.” Go here to see the full client review.